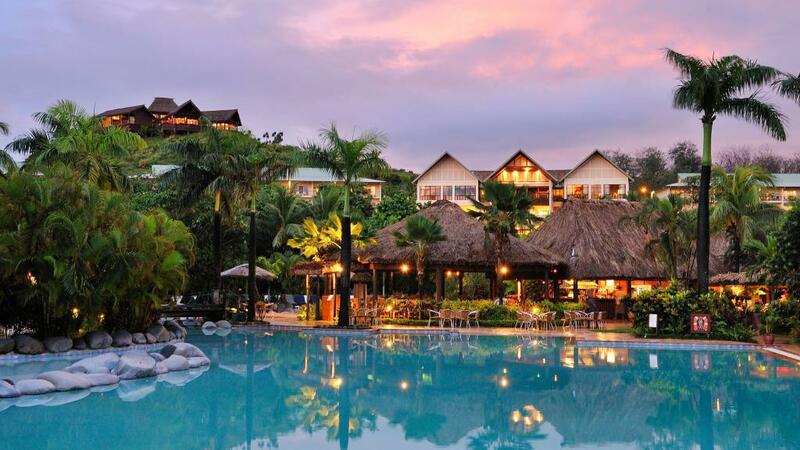 The Outrigger Fiji Beach Resort is a deluxe 5 star resort with a beachfront location on Fiji's famous Coral Coast. Offering fantastic facilities including one of the largest freshwater swimming pools in the South Pacific & the stunning Bebe Spa this resort is ideal for both couples and families. Outrigger Fiji Beach Resort has a great Kids Stay and Eat Free offer for stays of 4 nights or more and is the perfect destination for a relaxing and memorable holiday. This 6 night Outrigger/Castaway Combo package includes 2 of Fiji's best resorts PLUS a bonus F$700 Resort Credit! The Outrigger Fiji Beach Resort is a deluxe 5 star resort with a beachfront location on Fiji's famous Coral Coast. Offering fantastic facilities including one of the largest freshwater swimming pools in the South Pacific & the stunning Bebe Spa this resort is ideal for both couples and families. One of Fiji's most popular island resorts, Castaway Island Fiji has guests returning year after year to experience the magic that is Castaway. Featuring spacious and secluded bures combined with warm Fijian hospitality, Castaway is a unique holiday experience.